Since our inception in the year 2006, we, Vasudev Screen Industries, are a prominent name, which is engaged in manufacturing , distributing, trading, exporting and supplying a comprehensive range of Cable Trays an Raceways. In this range, we facilitate clients with Perforated Sheets, Perforated Screen and Perforated Cable Tray. Offered products find application where changes to a wiring system are required. Manufactured using international quality standards, these products have the capability to withstand harsh weather conditions. Also, offered products are known for their corrosion and abrasion resistance. 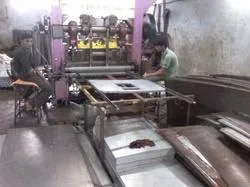 Aided by a diligent team and state-of-the-art infrastructure facility, we are capable of making our qualitative range of cable and perforated cable trays available to our respected clients. Owing to their sincere efforts we have been able to attain a conspicuous position in the industry. Dedicated to serve the satisfaction of our clients at prime, our team of quality controllers checks the whole range of the products offered on various parameters and hence assures a range of invincible quality for the clients. We also provide after sales service of our products. Under the mentorship of, Mr. Shailesh Patel, we have been capable of touching the horizons. His guidance has enabled us in serving the satisfaction of our prestigious patrons. Also, his rich experience in the domain and leadership qualities have enabled us in developing a strong foothold in the industry. Committed to follow fair business practices, we have accomplished in attaining the valuable trust of our clients. We export our products in Arabian Countries. 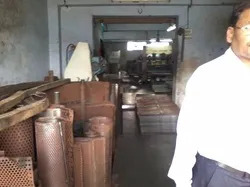 We are aided by an efficient team that helps us in making the offered range of supreme quality cable and perforated cable trays available to our revered clients. Attributing to their sincere efforts we have been consistent in offering quality products to our valued patrons. Committed to the satisfaction of clients, our team of quality controllers checks the entire range of the products to be offered on various parameters and hence assure an accolade range of products for the clients. Driven by an intense desire to serve the satisfaction of our clients at prime, we are a prominent name to offer a qualitative range of cable and perforated cable trays to our clients. Dedicated towards attaining the maximum satisfaction of the clients, we are highly committed to follow ethical business policies. Confiding on the reliable vendors for high-grade metals and alloys, we assure a range of invincible quality products to our clients. We are backed with a modernized infrastructure facility that is well equipped with the advanced machineries. We periodically service these machines, to ensure their smooth functioning. Further, to ensure a streamlined execution of the processes, we have divided our infrastructure facility into various units.